Winter recreationalists are increasingly flocking to an otherworldly glacial landscape just an hour's drive from Alaska's largest city. 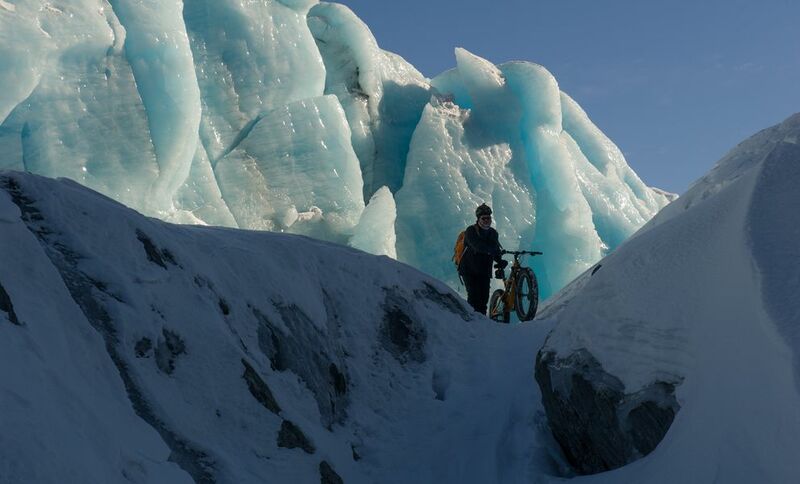 Access to Knik Glacier along the Knik River has soared in popularity in recent months, the result of good winter weather, a rise in the popularity of fat-tire biking and mix of social media postings detailing glacial terrain that looks like it's from another planet. Sione Lomu, 33, of Anchorage, has been out to Knik Glacier several times in both summer and this winter on his fat-tire bicycle. He acknowledged there's a "glacier fever" sweeping through the bike community. 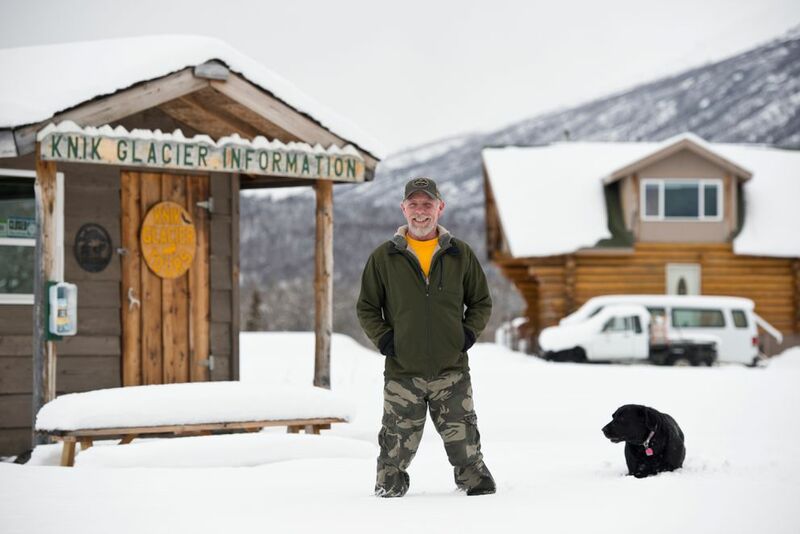 "People in Alaska are like, 'Wow, it's beautiful out there,' " he said. David Canales, 31, went to the glacier March 25 with a group of friends. He said he'd wanted to make the trip for years but had trouble finding good information on how to get there. But this year, social media posts detailing where to go and up-to-date trail conditions made it easier for the Anchorage fat biker to make his first trip. He said his group of friends were "blown away" by the beauty and size of the glacier. "It's amazing when you step back 200 yards and it just goes on for miles," he said. "It's just crazy how big it is." Knik River Road is less than an hour's drive from Anchorage. While there is developed access on the north side of the river at the Knik River Public Use Area, non-motorized users have taken to starting on the south side of the river off of Knik River Road. Getting to the glacier from the public-use area is a 20-mile one-way trip. From the south side of the river it's less than 10, making it a more popular starting spot for day trips. While there are a few access points available to the public on the south side of the river, most of the property in the area is private. A small parking lot at Mile 9 Knik River Road, just past Hunter Creek Bridge, was overflowing during the last three weekends in March, according to Peter Schadee, owner of Knik River Lodge. A navigable waterway, Hunter Creek provides public access to the Knik River, but it's surrounded by private property. Schadee said he counted 57 cars parked in the area last weekend. Staff from his lodge left notes on people's cars letting them know parking is available at his lodge. He said there has always been some interest from area bikers and skiers, but it seems to have "multiplied by a hundred" this year. Schadee is offering free parking to those wanting to head out to the glacier. He's even hoping to clear a trail next year from his lodge to the river, chopping an additional mile off the river trail. Next year he might even get a fleet of fat-tire bikes to rent. He's encouraging people to visit. On Wednesday he said he would take a snowmachine out to pack down the trail after the midweek snowfall. "I'm really happy having the fat bikers and the skiers instead of four-wheelers and snowmachiners," he said. "We're happy to do whatever little thing we can." 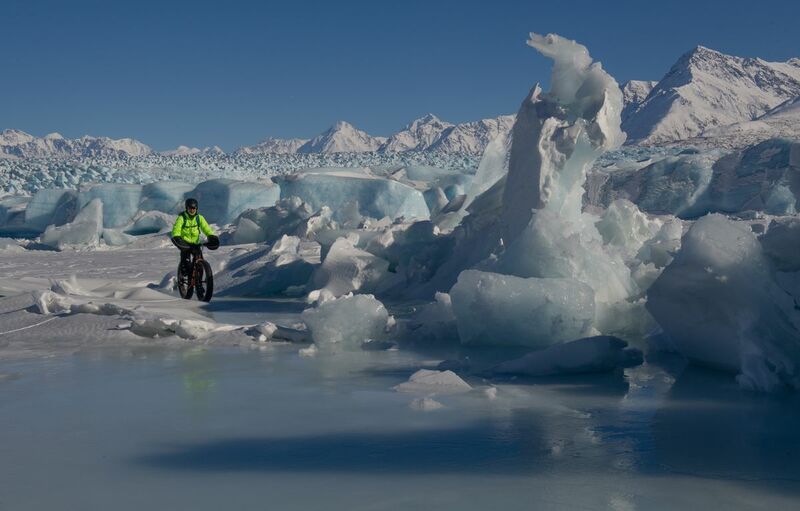 Tom Faussett, owner of Knik Glacier Tours, has been surprised by the bikers' interest since summer. Faussett, whose glacier tours operate in the summer, has seen the parking lot at Hunter Creek overflowing with riders on weekends. He's happy about it, noting that bikers are low impact and generally have been good neighbors, he said. He's put up signs encouraging riders to park at his operation to reduce impact to Knik River Road. Next year he's planning to open a larger parking space with possible amenities like portable toilets and bike rentals. "They aren't hurting anything," he said. "They're just wanting to go for a ride." 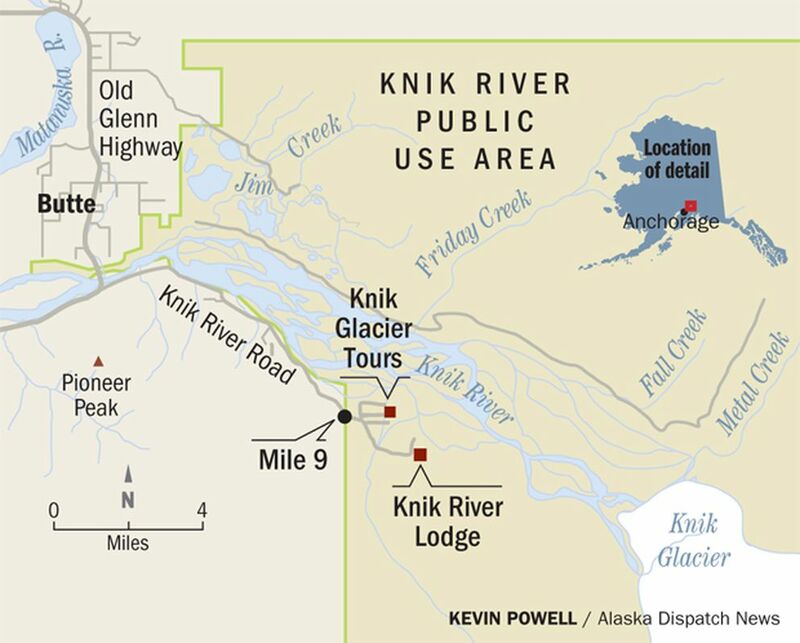 Dennis Sayer, a board member of the South Knik River Community Council, said he's heard from some who have had people passing through their property without permission. He encouraged people who find themselves on private property to exercise common courtesy. People in the area have struggled with four-wheelers and other all-terrain vehicles trespassing during the summer, he said. While he's heard people complain about overall traffic, he hasn't heard of any non-motorized user causing a major conflict with local property owners. "They've been nice all the way around," he said. • Parking: Some is available at the Hunter Creek bridge, Mile 9 Knik River Road. Both Knik Glacier Tours and Knik River Lodge also offer free parking for fat bikers. • Conditions: Warm weather could cause the ice to deteriorate on the river in the coming weeks, so be aware. Bikers have been posting trail condition updates on social media, including the Anchorage Fat Bike Facebook group.